If you feel like you need to disconnect and re-calibrate and have a few days to do it—then look into booking a few nights at a Japanese ryokan. 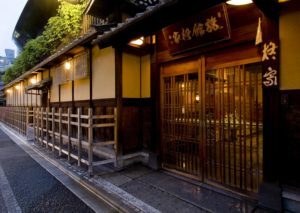 These traditional inns date back to the 8th century A.D., and many of the earliest ones were located along the Tokaido route, which connected current-day Tokyo and Kyoto, and provided respite for nomadic samurai and traders. Now, however, they are a preferred lodging option for locals and tourists alike. Rooms look out onto rolling meadows and the bar is a front-row seat to Mt. Yotei. Upon arrival, you’ll get the chance to watch a 62-year-old tea master expertly prepare your complimentary cup of matcha. 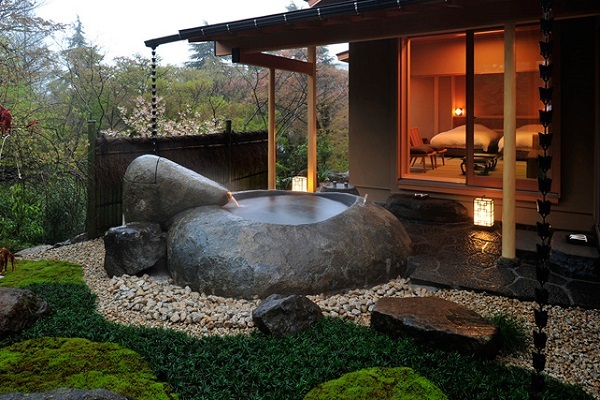 The building wraps around and encircles a private garden, home to the only public onsen on the grounds, where you can enjoy an alfresco foot bath. 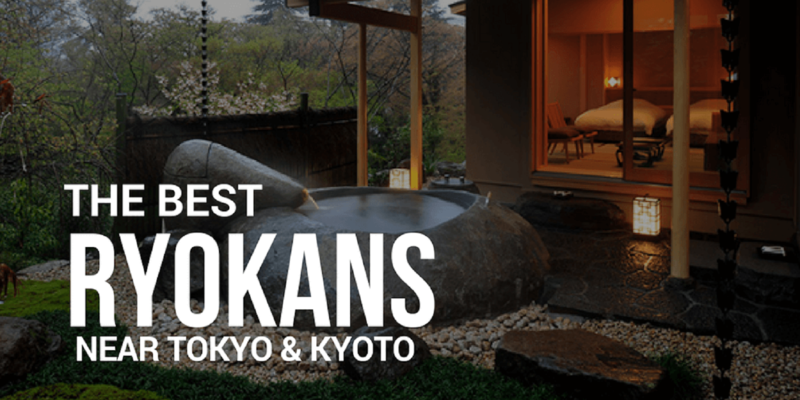 Unlike other ryokans, where communal bathing facilities are the highlight, Zaborin places a focus on privacy and has equipped each accommodation with two hot spring baths. One serves as the indoor bathtub while the other is located outside on the balcony and is made from either wood or stone (opt for the latter). It’s all chic and tranquil, and you’ll find that your meals, prepared by chef Yoshihiro Seno—with a focus on locally sourced vegetables and seafood—are truly unforgettable. 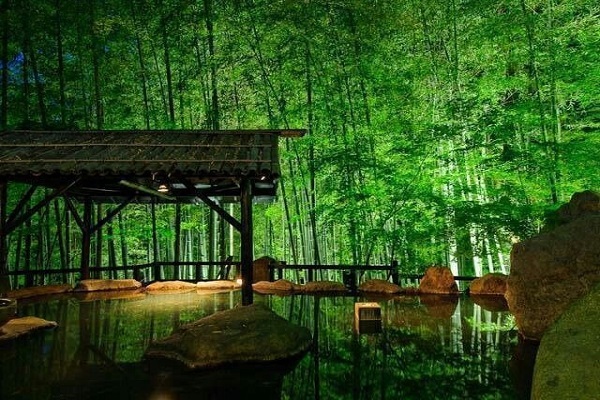 Gôra Kadan, the former retreat of the Imperial Family, Kanin-no-miya, situated in the heart of Hakone National Park, is an invitation to bring your five senses to life by immersing yourself in the ancient Japanese way of life. The main building was once the summer residence of the Kaninnomiya Imperial Family (which says it all, really), while the newer wing boasts beautiful tatami rooms with cypress baths, a heated indoor swimming pool, a luxury spa, a Jacuzzi and a restaurant serving food prepared by one of Japan’s top chefs. No mere words can do it justice really – you just have to go there and experience it for yourself! Takefue (Ryokan in Japan) located in the middle of a bamboo forest. Guests of Takefue arrive via one of the most beautiful roads in Japan, with breathtaking views of the mountains of central Kyushu’s Mt. Aso range on one side and vast ocean vistas on the other. Takefue maintains a refined rustic style, the farm-type buildings all black beams and straw-and-plaster stucco. Interiors are likewise rustic, but with modern amenities and huge windows giving access to the lovely surrounding forest. The onsen hot springs are generated by the same geological processes that keep nearby Mt. Aso rumbling. Most of the rooms boast their own private rotemburo outdoor baths – some of which are huge. There is also an enormous public rotemburo, which can be reserved for private bathing. 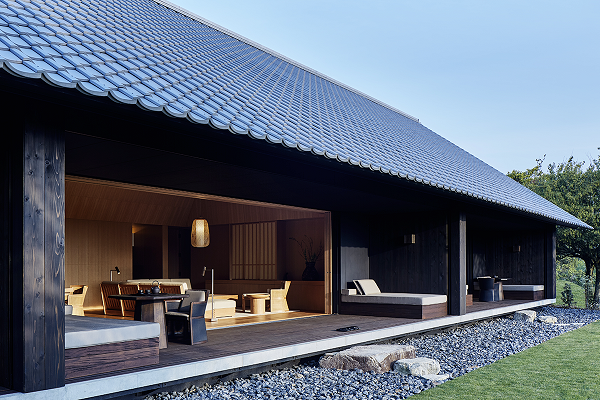 Located in the Mie Prefecture overlooking Ago Bay, the resort features 24 spacious suites and four two-bedroom villas with minimal interiors awash in neutral hues and wood. All of the accommodations come with a furnished deck and deep bathtubs with hot spring water on tap, while the villas have the added luxury of a separate onsen area. The outdoor public area of this serene oasis is made up of two large hot spring–fed pools and a furnished sunken pit with a fireplace. It’d be easy to spend a day here, relaxing in the mineral-rich waters or lazing away in the sun, but make sure you don’t skip the complimentary afternoon tea at the lounge or an exceptional dinner (both à la carte and multicourse menus are available—the former includes Japanese, Chinese, and Western offerings) at the restaurant. What’s new? What’s a must to explore? Our Luxexplorer curators hit the roads to bring you interesting travel news and stories. Follow the unfiltered stories of our team member as she travels around the world with her backpack.